We went to RelianceMart and brought a DVD Player. Then we went to Rent a CD store and got the the DVD. Then took a lot of pain to remove the wired sound from the Player. After deciding to watch the movie and after two hours of effort we are ready to watch the movie. You can imagine someone taking soo much effort to make someone watch a movie. Guess the movie must be really good. That prompted me to watch the movie non-stop though I was very tired. It for Kavi’s efforts. To believe in Hope & how Hero escapes with Hope. How cruel a prison life is. What prisoners do to pass their time. Things one can do in Prison. No wonder this is the highest rated movie in IMDB. Until watching this movie Forest Gump use to be my favorate movie and not that has been pushed to second place. For all those who have not seen the movie please go and watch it immediately. 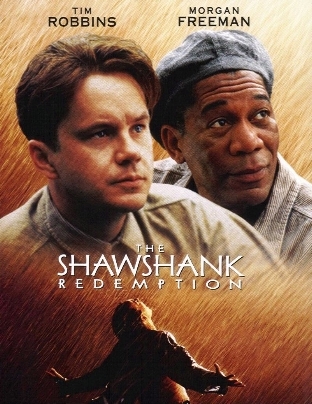 From not Shawshank Redemption is my Favorite Movie Number One. Next ›Thalaivar is Famous than anyone in the world!! !